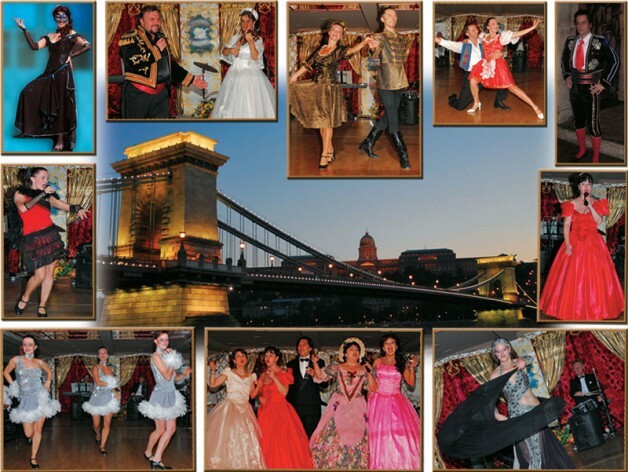 Budapest Cruise and Show is presenting its special New Year’s Eve edition on December 31. Welcome the New Year on the Danube in Budapest with the artists of the Hungarian Operetta and Opera Theater on the NYE Cruise Show with 25 members of the Cruise Show, donning original costumes, and celebrating over a 1000 full boat cruises of 15 years. 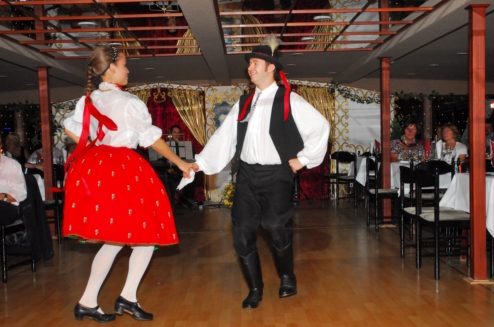 The music genre is entertaining for all ages who love light classical music, operettas, musicals, operas, seasoned with dance shows of step dance, belly dance, Hungarian folk dance! Drinks: 1 Puszta Cocktail & 1 Glass of Sparkling Wine (more drinks available at the cruise bar). Unlimited Drinks included in Extra tickets! 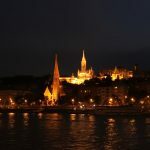 The cruise features some of the best Hungarian singers, and performers to entertain you for 3 hours while cruising past the wonderful sights of the city of Budapest on New Year’s Eve with occasional shoots of the New Year’s Eve Fireworks in Budapest. The sights have been part of the UNESCO World Heritage for their special beauty and glamor. “Wonderful and highly recommended, performed with love!” as Ilona Tokodi, Hungarian opera star put it. We agree. 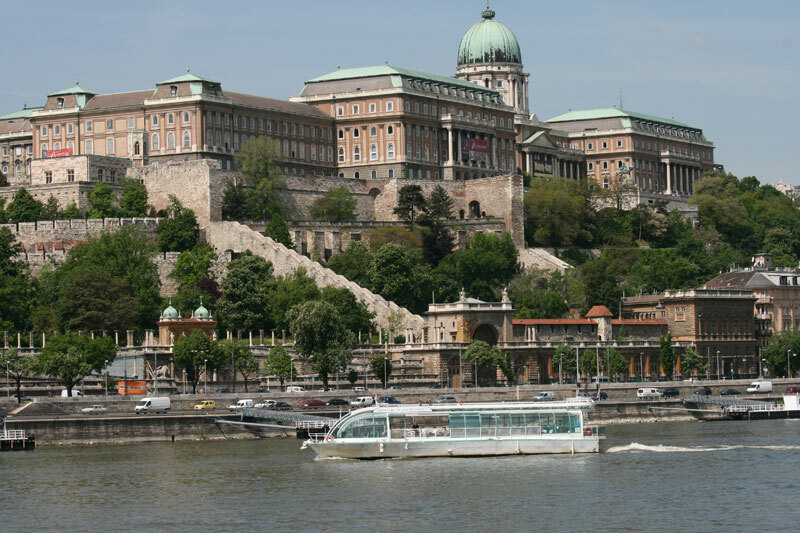 And indeed, the Opera & Operetta Cruise features the artists of the highly acclaimed Hungarian State Opera House. 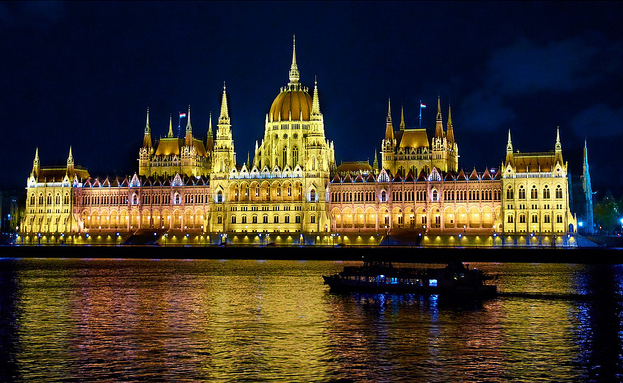 If you want to combine night entertainment with a Danube cruise, or a dinner cruise in Budapest, the Opera & Operetta Cruise is your perfect choice. Not included: hotel pick up and drop off are not included in the cruise show. 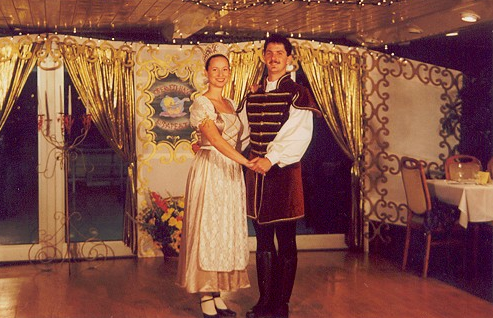 Compared to most New Year’s Eve cruises, the Cruise and Show of Opera & Operetta & Dance is very reasonably priced. 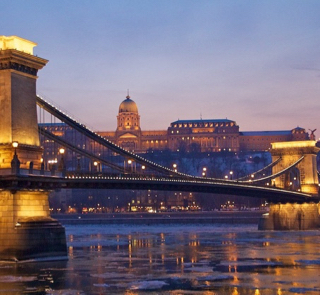 Cruise & Show & Dinner + 2 Drinks: This cruise fee contains the 5 hour NYE program with 3 hours of show and 4 hours of sightseeing cruise on the Danube. 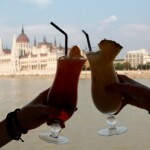 2 drinks (1 Puszta Cocktail and 1 Midnight Sparkling Wine) and the buffet dinner are included in the price. Puszta Cocktail: Tokaji Szamorodni Wine + Apricot Palinka + Liqueur. The two drinks are: 1 glass of Sparkling Wine served at midnight (or soft drink), and 1 glass of welcome Cocktail. 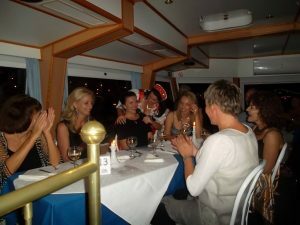 The dinner is buffet style dinner with main courses and side dishes, starters, desserts, salads. 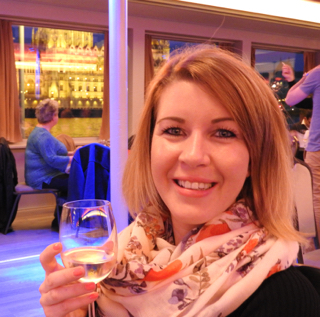 You can order further drinks in the cafe aboard the ship. 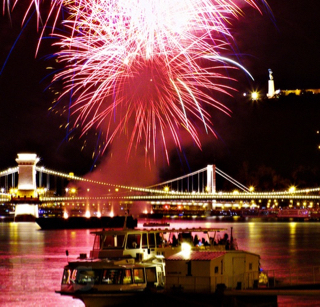 Cruise & Show & Dinner + Endless Drinks: This NYE cruise fee contains the 5 hour NYE program with 3 hours of show and 4 hours of sightseeing cruise on the Danube. All drinks (beers, wines, soft drinks) are included in the cruise fee (cocktails, spirits are not part of the package though). Also the buffet style dinner is included in the price with main courses and side dishes, starters, desserts, salads. You can order further drinks in the cafe aboard the ship, but any drinks outside the Open Bar package will be added to your bill (spirits, cocktails are not included in the cruise ticket). Note that these seats are also at shared tables of 4, 6, 8 or 10. 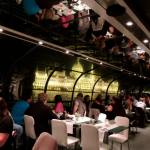 For couples who wish to get guaranteed tables for 2 on New Year’s Eve, we recommend the shorter a la carte dinner cruise on New Year’s Eve in Budapest, or the longer Budapest NYE Cruise with Bar Piano. Note: booking the cruise is by full payment, no deposit is accepted. 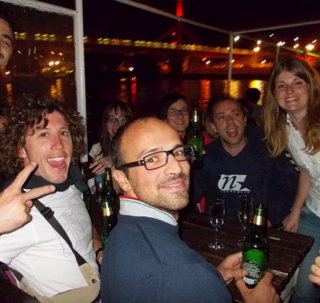 Groups of 15+ can contact us for a personal quote at info [at] budapestrivercruise.com. The cruises can be ordered as private events too between December 23 and December 30. 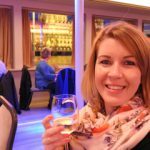 Bookings are non-refundable, as seats on the Cruise Show are limited. Hurry up to secure your seats! Please note that the cruise is from 8 pm on December 31 to 1 am on January 1, but embarking and debarking the ship is about 30 min each. Consequently our program starts at 7:30 pm, and finishes at 1 am. Please only book your cruise, if you can be at the dock by 7:30 pm as we cannot cause inconvenience to our guests by delaying the cruise time. 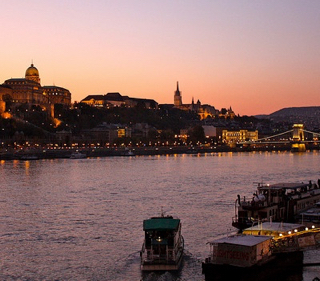 You can book your cruise on our Budapest Opera Cruise Booking page. 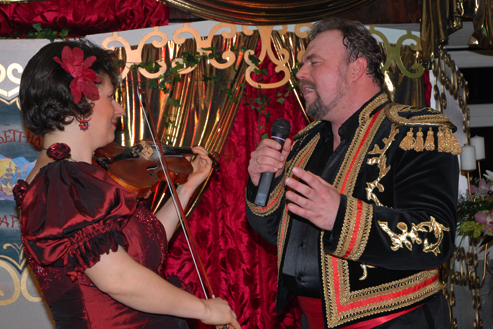 Who is the Opera & Operetta Cruise Recommended for? 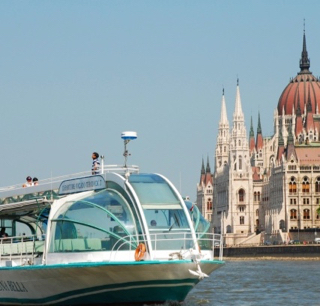 The Opera & Operetta Cruise is perfect for a romantic evening or romantic dinner in Budapest, but the cruises are very popular for groups of friends who want to celebrate birthdays, graduation, anniversaries as well as business deals. After all, the sightseeing tour is scenic, the shows are great, and the food and drinks are pleasant, who would not love it? 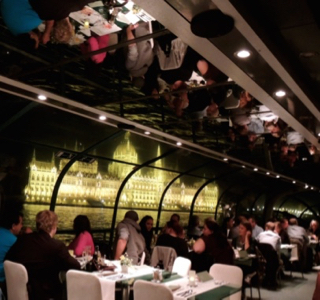 In the dinner cruise menu you will find fine meals, some of which are traditional Hungarian dishes. There are options for vegetarians, and for meat lovers too. 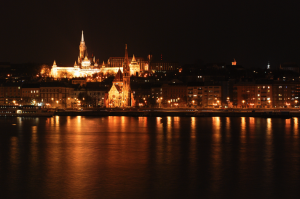 It is customary in Hungary to have a midnight dinner before or after the sparkling wine. Further drinks for extra surcharge are available aboard, added to your bill. 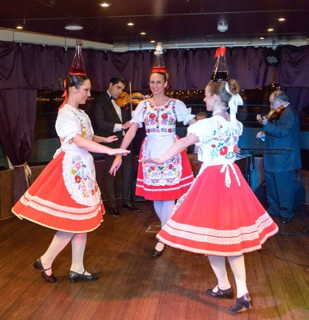 The dress code of the musical cruise on the river Danube is best described as Smart Casual. 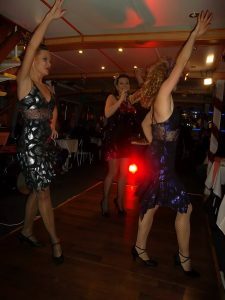 We kindly ask you add to the celebration and the fascinating show by attending the cruise in preferably a smart casual or smart dress. 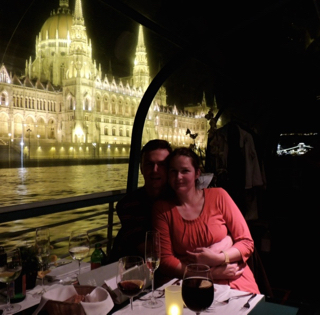 Of course, we understand that sightseeing in Budapest is not the most comfortable in smart dresses, but we wish to add to the atmosphere of our cruise by being a bit more festive. 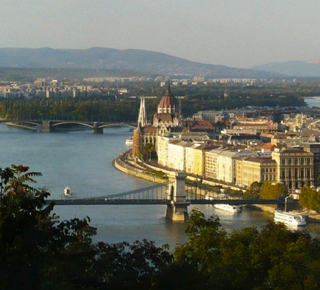 Please, explain the difference between VIP seat and regular seat on Opera & Operetta Cruise Budapest? 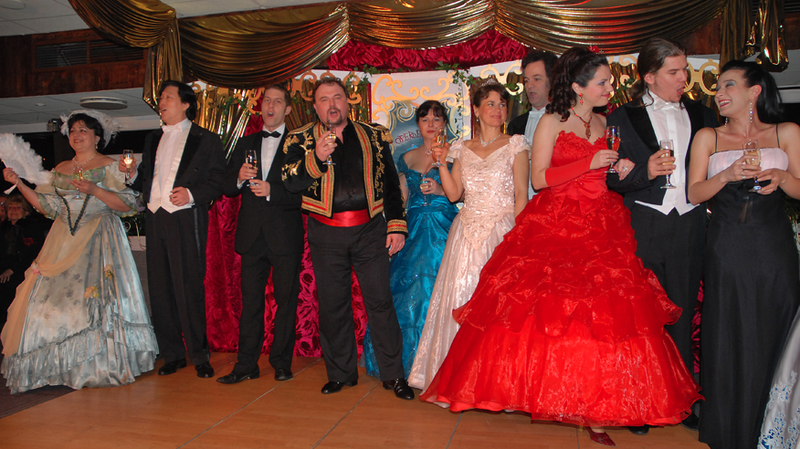 VIP ticket holders are seated closer to the stage, facing the performers on the New Year’s Opera & Operetta Cruise. Have a beautiful December holiday in Budapest! Will there be any gluten free options? this program unfortunately won’t run this year.